Important Note: If you are a teacher, advisor, organization, or individual with a website reading this! Jump on a call with you to see how we can help you further! Together let’s spark bright futures! Math Playground math games from 1st – 6th grade. In addition, if you are a proactive parent or teen in 7th – 12th grade make sure to register to our next live webinar to learn how to save thousands + set your teenager up for college, scholarship, and career success by clicking here! My daughter had a hard time learning the times table. Each exercise kids solve helps them to feed the cute panda. You can get daily reminders to feed the panda (solve exercises) and kids get rewarded with trophies upon goals completion. I read this paragraph completely concerning the resemblance of latest and preceding technologies, it’s awesome article. 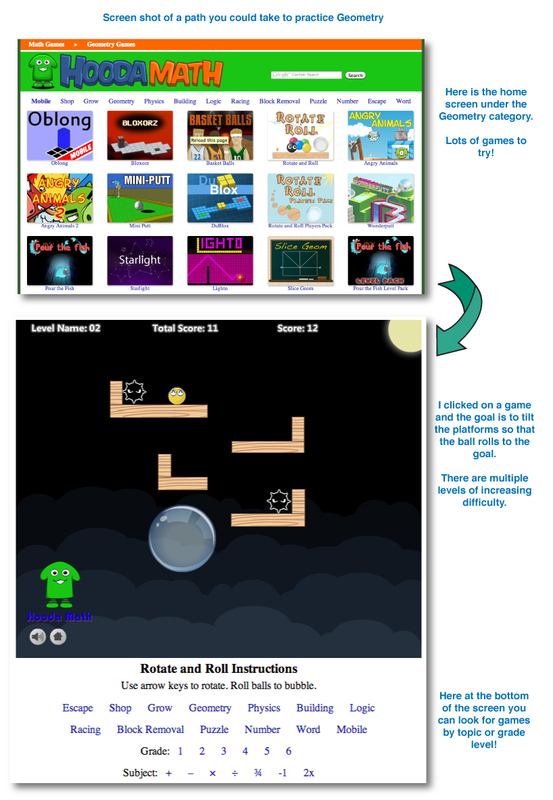 I have created some fun math games and puzzles for little kids: https://www.scriptacademy.net/ What do you think? Thanks for sharing! I took a look and yes it is very useful. Besides getting excellent instruction and practicing a lot, you must actually do what you’re shown, as you learn by doing. Todd great tips! You have a great name as well! Thanks for sharing this app with us Sujith! I will have to check it out myself. this list is helpful for me and I think Khan Acadamy’s website is on No.1 Rank. Yes, this was a tough one for us to decide. It has been a while since we updated the list and so we will have to determine if we still think they are listed in order of importance! Thanks! Glad you love the information we provide! Try this website http://www.algebraforchildren.com which helps users to play with Algebra Activities For Kids, Games, Worksheets, Quizzes, algebra skills for children in 1st, 2nd, 3rd, 4th, 5th, 6th and 7th grades. First of all I want to say superb blog! your head prior to writing. I have had trouble clearing my mind in getting my thoughts out. Sorry for the late reply! I would suggest that maybe that is a limiting belief you have. Start telling yourself that you are amazing at getting your thoughts out and give yourself a deadline for when it has to be completed. Check out the book the Pomodoro Technique for some great productivity tips! Hope this helps! I’m glad I found this list, thanks Laura! Have you checked out Front Porch Math? 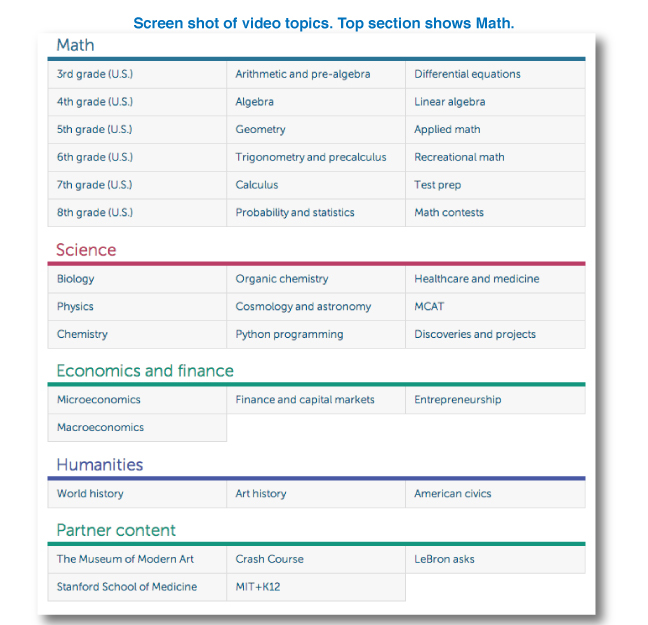 Strong web site of video tutorials designed for visual and conceptual learners. I have not yet but will put it on my list. Thanks for another great resource! Check it and you will not regret. Thanks for another helpful resources! So many people out there trying to spark bright futures! Love it! great for basic algebra, linear equations, and quadratic equations. More topics to follow. This is definitely an informative site. Just wondering if there are other sites you are going to rank that involve online tutoring services – http://www.yourwiseowl.com is one that is starting up. At the moment we will not be updating this article in particular to include any additional sites. We may, however, update it in the future, or simply produce another article for that year. 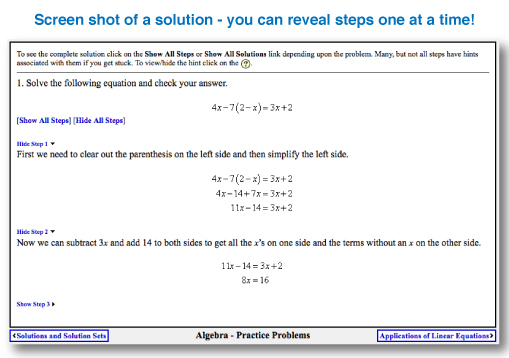 I am really glad here to find out a number of math solution websites, I just checked out some sites to find out easiest solution for math problems…!!! Thanks for the nice comment! Which websites did you find most helpful for the problems you had? Share! Hi Laura!! It is really a splendid post where you have listed the top maths sites for help. Online mathematics tutoring sites provides a platform to the students to post their questions from expert tutors in a tough subject Mathematics. As students these days are tech savvy, they find these websites assistance very helpful. Thanks!! Thank you for the kind words and taking the time to post a comment. 🙂 Keep up your great work helping students with math too! Ӊi juѕt wanted tto give youu a brief heads uρ and lеt you now a few of the images aren’t loading corrеctly. Oh no! Thank you for the feedback. I will double check and see if I can fix it if I get the same error. We’ve had a speed issue with things loading and working to make it better for you! This is great. 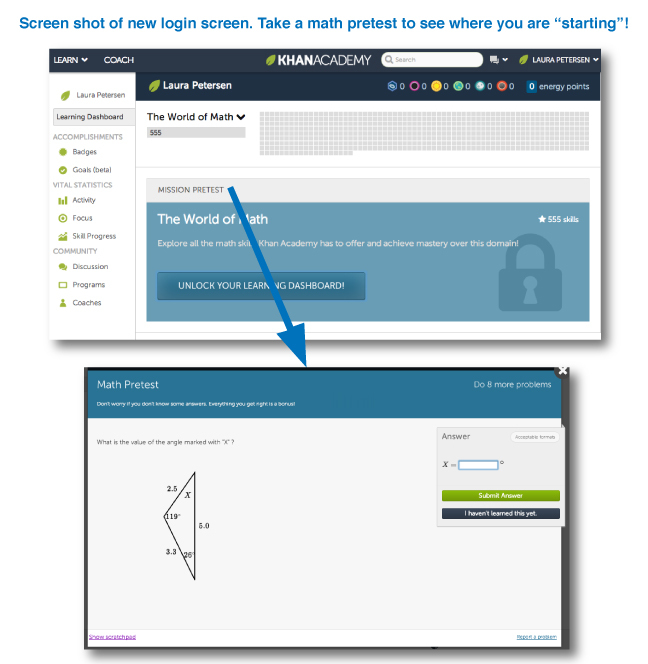 I would also like to mention our website http://www.edugain.com which provides free online Math practice, tests and printable worksheets for grade 4 to 10. Extremely happy to hear you discovered this a valuable asset! 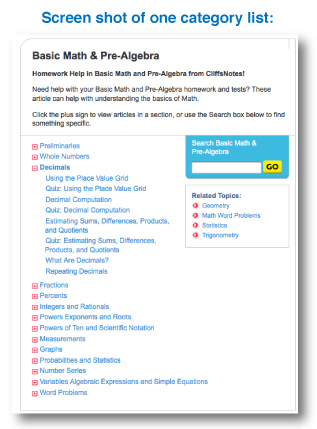 Hi Ms. Laura, I find this website very much helpful to students, specially those who are striving so much in Math. I’m also one of the contributors of a site which we aim to be as popular as yours. We do offer different topics, questions with answers and to understand more, we also incorporated contents of each topic. Hoping you could also look at this site, and have this included in your article, its SelectiveSchoolExam.com. Looking forward to your response. Thank you for taking the time to write a comment! I do appreciate that! I looked at your site but it does not seem to be free. Am I mistaken? It seems like you have to log in and pay for the quality content. It supportive for me. Since I’m making a site about Math. What’s more, i need my site to wind up well known as networks in your theme :). Much obliged to you! Thanks for the nice comment, John! And good luck with the project you are working on. What kind of math will your site focus on? Thanks for sharing Jan. 🙂 Looks like this site has a very clean, easy-to-follow layout. I found the best site to learn basic mathematics thru dynamic worksheets is simplify calculator.com. 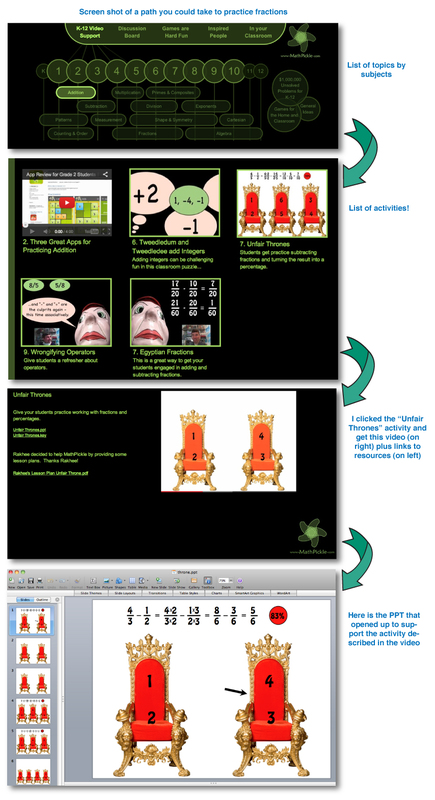 I hope it will be very useful for your kids to practice and learn math easily. This looks like it could be really helpful! Especially the free worksheets. Thanks for sharing! It has unlimited, randomly-generated online practice, and unlimited, randomly-generated offline practice via worksheets. It has fully-sequenced courses which steadily build skills, assuring prerequisites are in place. 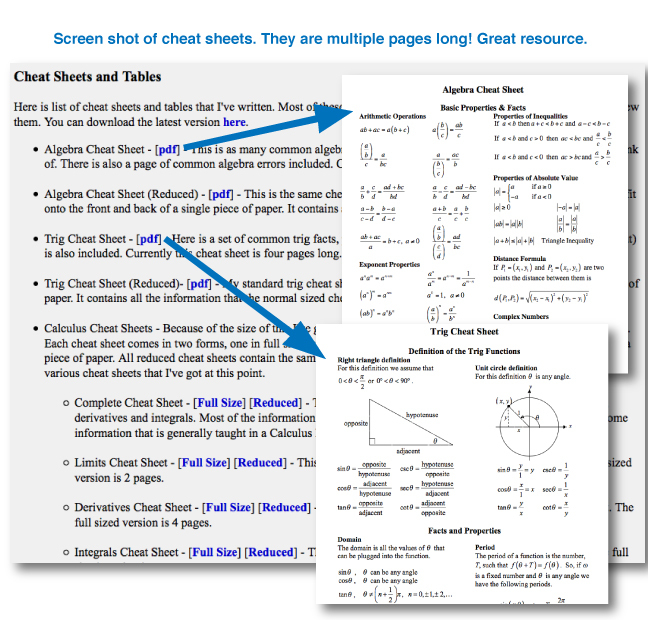 It uses MathJax (the gold standard for math-on-the-web) to get correctly-displayed and dynamic mathematics. Middle-school through high school math. It has a heavy emphasis on the language of mathematics, teaching people to teach *themselves* math while they’re learning the math. The site author has a doctorate in math and about 30 years teaching experience. It’s all free, no sign-ins, no annoying pop-ups and such. Very cool! Practice makes perfect but it always helps when you practice the “real deal”, so to speak. 😉 Thank you for sharing your site Mike. This looks like a very helpful site. Thanks for sharing! Thanks for the suggestion! The site wasn’t working for me though. Is it .net, by chance? Thanks for the nice comment! 🙂 So glad this is a helpful compilation. Thank you for the comment! If we can help any student to increase their math comprehension, that’s what we’re aiming for. Math is all about mastering the skills of solving a particular problem by using appropriate techniques. I really found these sites very helpful. A very informative share I must say. 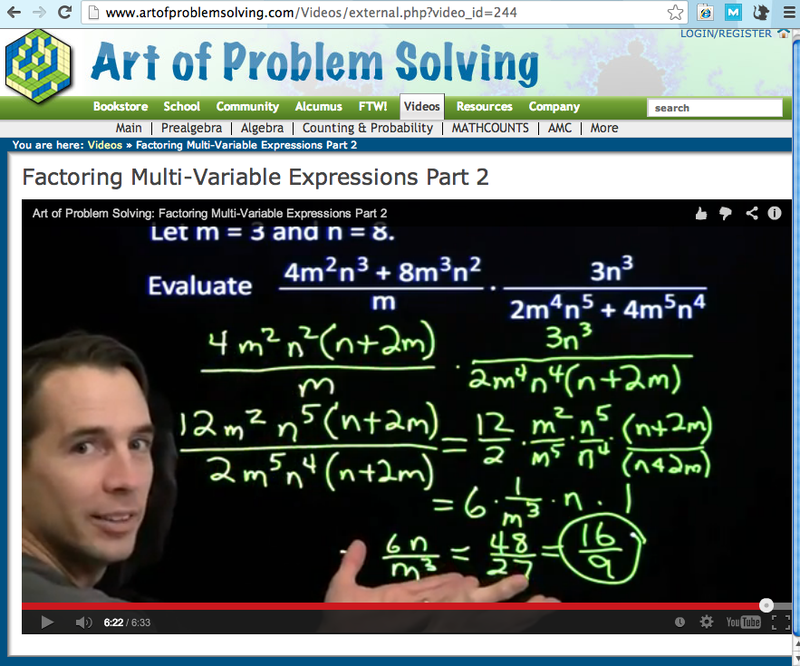 I operate a website with about 170 free middle school math lessons for teachers or students. I would appreciate consideration for inclusion on your website. Thanks, Stan! It looks like you put a lot of hard work into the material on your site! Great list! I have two teens (8th and 10th) that struggle in math, and I also teach sixth grade to students who truly run the gamet in terms of math proficiency and interest! I had heard and used a few, but many are new to me. I have also found virtualnerd.com to be a valuable resource. I believe it focuses on upper elementary through high school. 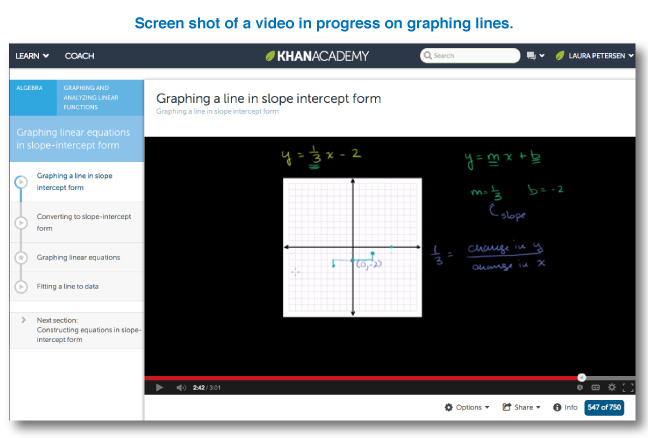 Similar to Khan academy, but easier to navigate. 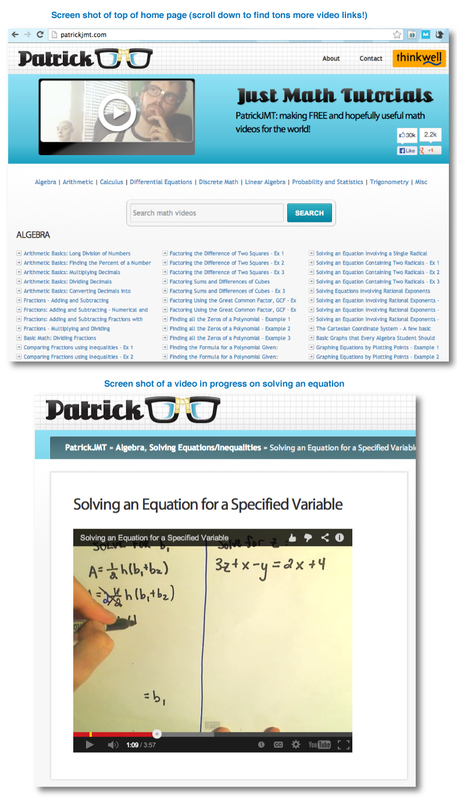 After each tutorial, it lists for students other related background videos or ones that would extend their learning. Thanks again! Thanks for the comment, Jan! What do you like about it? Please share. Thank you for sharing such Informative content specially for kids. I’d to say that there are few site that my kids eager to use and the questions in return they asked are sometimes i feel they are my teacher lol 🙂 .. below are sites you can add them too. Thanks for the link Subbalakshmi, we’ll definitely check Mathtweets out. Have your kids tried any of the sites listed on this post? Please look at mathtweets.com. 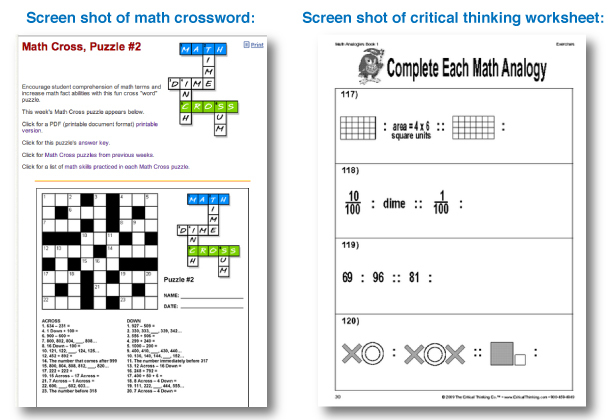 We are offering the 40 – week parent-driven Mathtweets program delivers a weekly module that has 1 Tutor sheet with simple explanations and 5 Work sheets. such that you can solve your problem with minimum effort. You are welcome and thank YOU for the comment! 🙂 I will check these sites out and add them to my list for my next “Top 10” or maybe I will need to do “Top 101” or something! 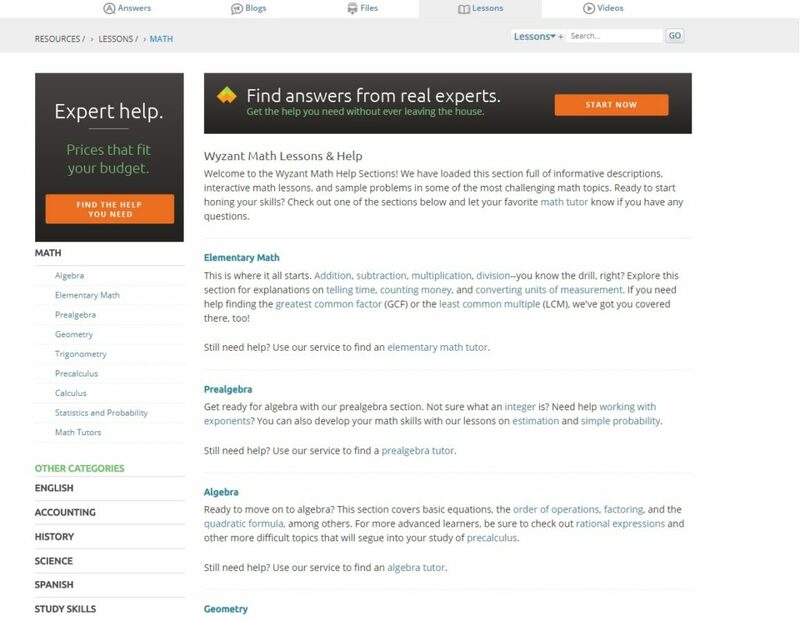 Oh, and maybe ixl.xom should be ixl.com it looks like? Please look at http://www.edgeall.com. This is a truly complete website with learning and practice for K-5. I developed it putting in 100s of hours on the part time basis but it is much better than most of the pay sites. Another great website I recommend is Beestar. My daughter has been using it for a few years and so do my after-school students. The worksheets are helpful and keeps them engaged. They also get to track how well they are doing compared to others. I especially like how I can track as a parent and teacher on their progress and the website. Have look on this website which gives more ideas to teach maths for your kids. Thanks for you post. I really like the information which you have shared in your post about. This is an excellent resource. Thanks for putting it together! Thanks for a great sites. Some kids are brilliant in Maths subjects naturally however for most kids maths is just like a nightmare. Everyone knows practice is the best way to sharp your skills in Mathematics but It’s not too easy as we think. Your interest in particular field enforce you to do it but you are not interested than it’s useless. you check out testaday.com also.. it is very kids friendly.. Thank you for the extra item!